A.D. Starrling is the author of the award-winning action thriller series Seventeen. Born on the small island nation of Mauritius in the Indian Ocean, A.D. came to the UK at the age of twenty to study medicine. After five years of hard graft earning her MD and another five years working all of God's hours as a Pediatrician, she decided it was time for a change and returned to her first love, writing. Her thriller series Seventeen combines action, adventure, science, and a dose of the paranormal to make each book an explosive, adrenaline-fueled read. Her debut novel Soul Meaning (Seventeen Series Book #1) has won and been nominated for several awards, as has the second book in the series. 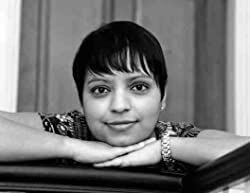 She currently lives in Warwickshire in the West Midlands, where she is busy writing the next installments in the series. She still practises medicine. AD Starrling is her pen name. Please enter your email address and click the Follow button to follow AD Starrling!